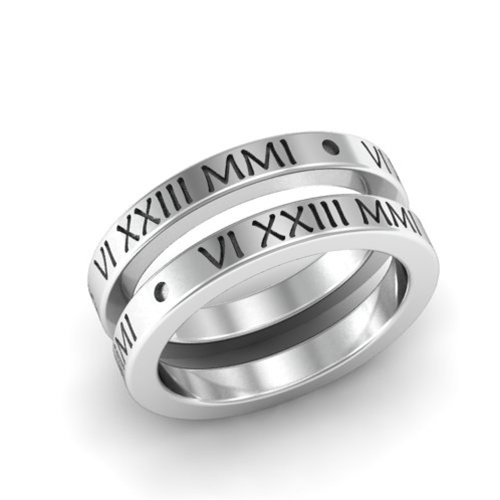 The contemporary flat shape of this slender Mosaic stackable ring contrasts beautifully with its classic Roman numerals. 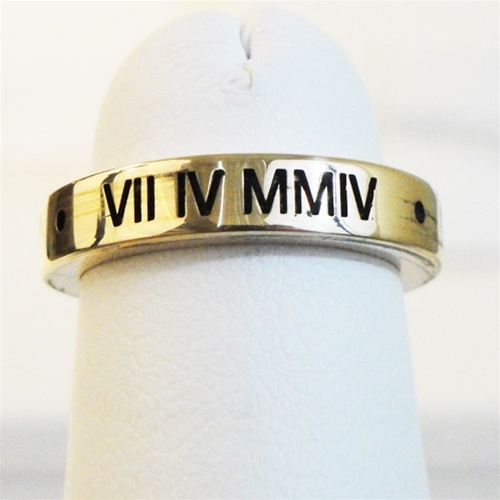 Custom made in your choice of sterling silver, gold, palladium, or platinum, the band It looks wonderful worn alone, and stunning when stacked in multiples or with an added birthstone. Gem Options: 2mm diamonds and birthstones are available. One gem can be added to each ring. 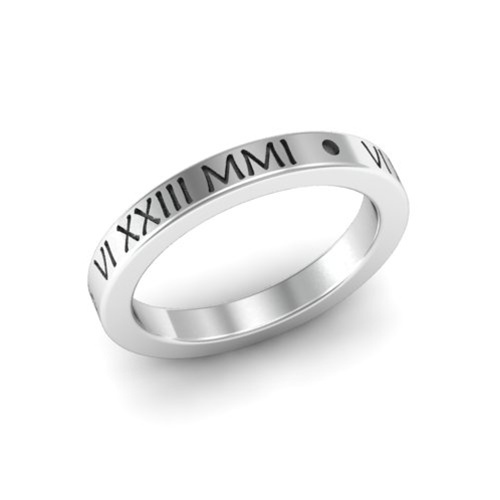 View birthstone selection.